There is no "best stick". It largely depends on what you want to use it for (i.e. which games), if you want microswitches or not, etc. 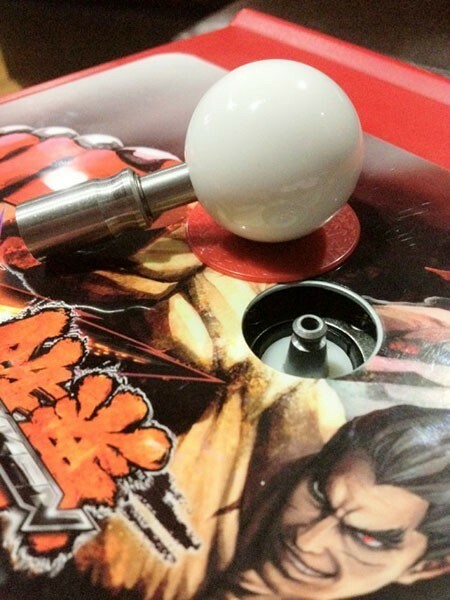 The way you mount your joystick can impact they action on your stick. For example, my panel is 3/4" thick on the top. I think the whole is too small and the stick doesn't appear to have the range it should. I shouldn't get overly philosophical for something that doesn't require it, but its kinda my thing. Think of building your control panel and your machine overall akin to a Jedi building his lightsaber. You've got to use the force to find the crystals, detect their impurities and align them. You will become one with your control panel as a Jedi with his lightsaber. It will become one with you as well. Keep in mind, that some joysticks lend themselves to be mounted on metal rather than wood. www.focusattack.com tends to target the fight stick tournament market. They have a lot of the different pieces I was referring to. Even an optical pcb for your joystick. Paradisearcadeshop has some too. Yeah, everyone's going to give you a different opinion. For my money, I am loving a Seimitsu LS-58 or 56 with an octagonal restrictor for general gaming. There is also a site, http://www.slagcoin.com/joystick.html that is a pretty good starting point.